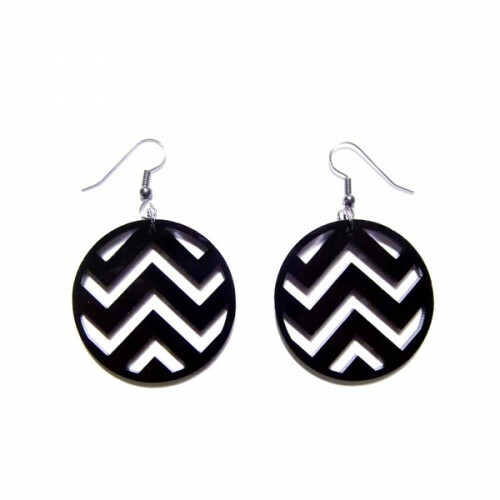 Necklaces, earrings, and rings from plastique* bejewel their owners with acrylic pieces of art that are like pieces of candy. 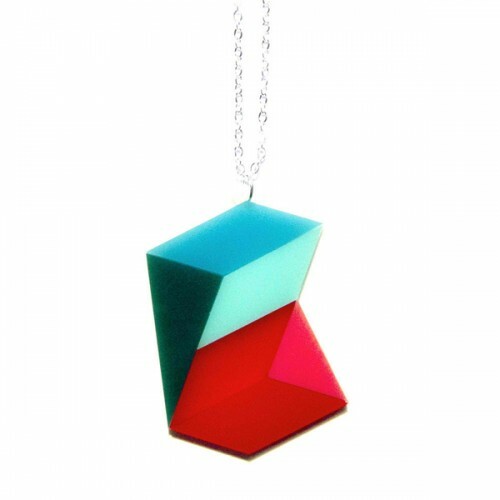 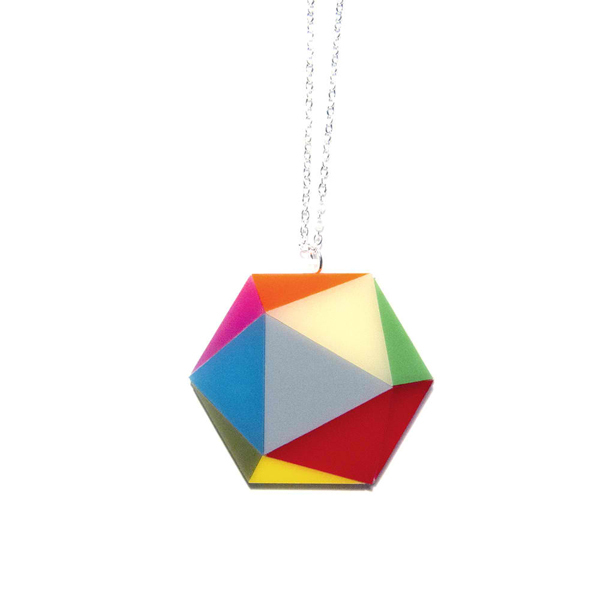 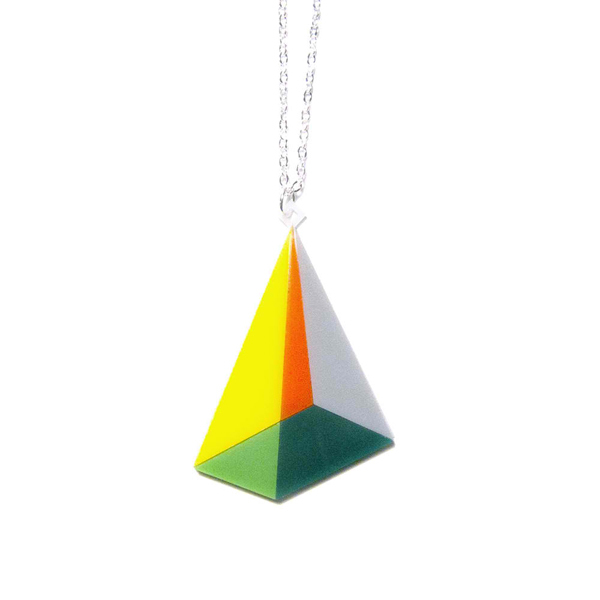 They offer a number of colorful collections but a few that stand out are their series of geometric shapes made in collaboration with painter Julie Bonifay of MAGNA out of Los Angeles. 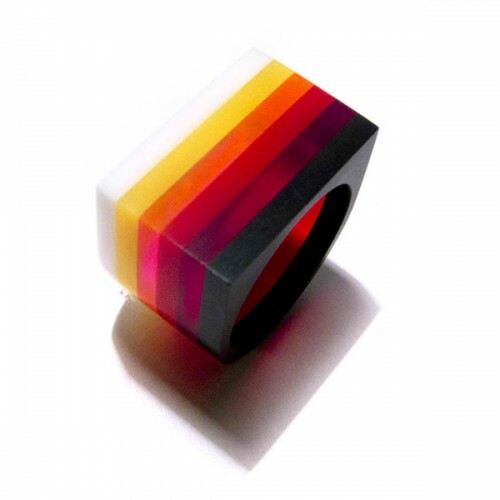 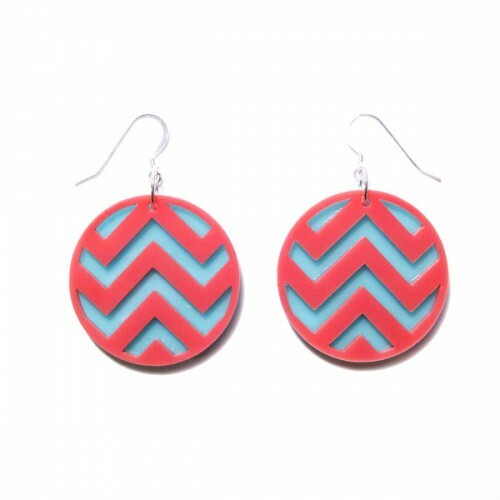 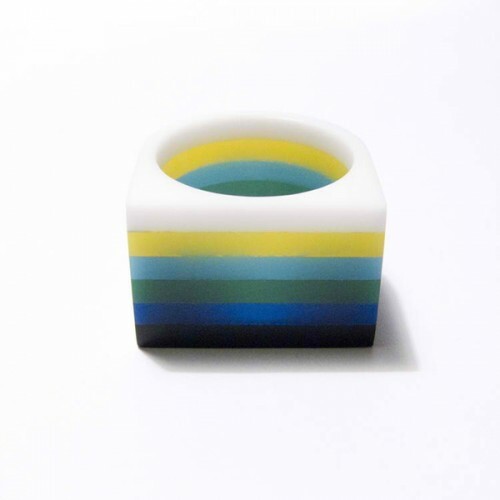 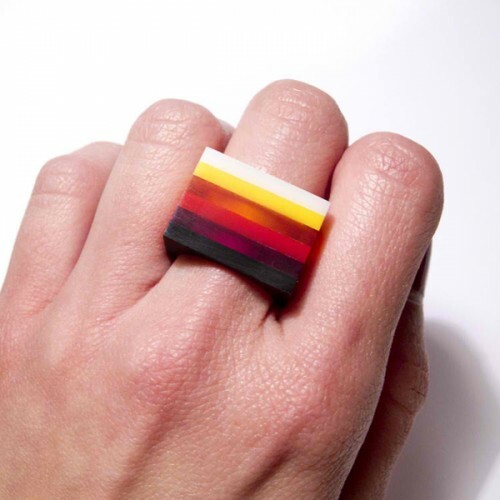 Other collections include eye popping chevron patterns and layered rings that are a slices of rainbows. 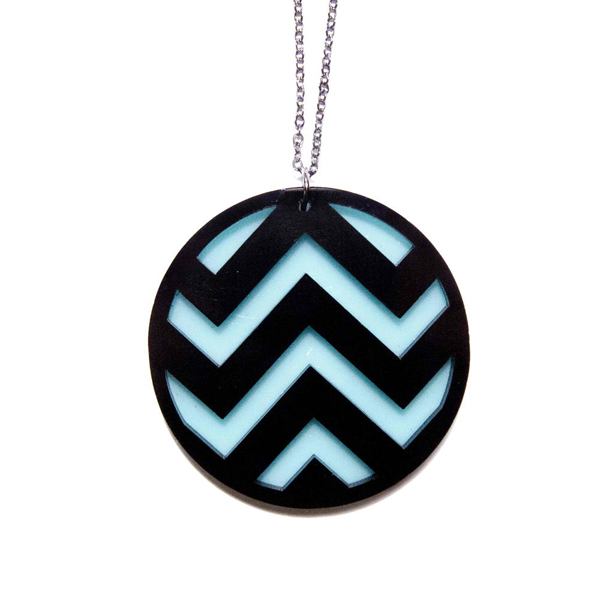 Each is laser cut acrylic hand crafted in San Francisco.